This wrap features leftover turkey and is a simple yet tasty way to use up cooked turkey meat and stay low carb! Make leftover turkey (or chicken) more exciting by making this super easy wrap! 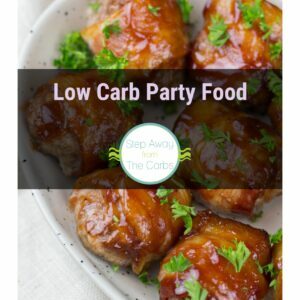 First you’ll need some low carb wraps – if you’re a regular reader then you’ll know that I am huge fan of these wraps – they are a lifesaver and I use them in so many ways (here are over 12 of them!). My current favorite is still Mission Carb Balance Fajita size – at 3g net carbs per tortilla. Grab a couple of wraps and add a layer of chopped or torn lettuce. Then add some cooked bacon – again something I have on hand at all times, either for snacking, wraps, salads, or for adding to veggie dishes. Add the leftover turkey and some guacamole. 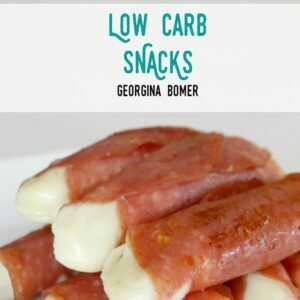 I love those handy little snack size pots – perfect for making two of these wraps! Alternatively, try my Easy Creamy Guacamole recipe! And you’re done! 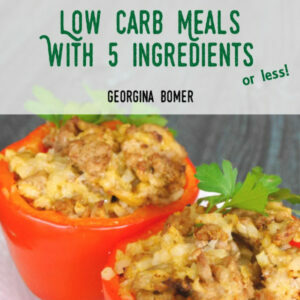 Roll it all up and enjoy the great combination of low carb flavors and textures! Oh – and this would also work really well all wrapped up in a large lettuce leaf instead of the tortilla! Lay out two wraps and add a layer of chopped or torn lettuce and the bacon to each one. Add the cooked turkey and some guacamole, roll up, and enjoy! How awesome! I love easy ideas for using leftovers! Thank you! Even though it is not the right time of the year to bring this up, I’ve got to say, I am not a fan of turkey. You might guess I actually do not have any leftover either…. BUT. I love chicken! This looks like a GREAT combo though for my just purchased low carb tortillas. Big excitement! Perfect idea for a quick lunch! Turkey and gaucamole is a great combo!